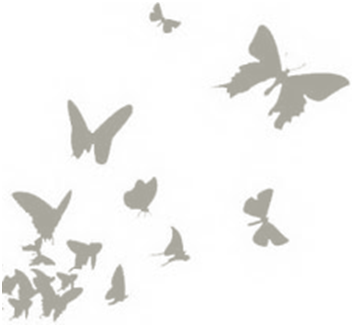 From start to finish Karen Wilson Interior Design INC. can get you through your renovating or decorating project. Karen’s passion for design is evident and goes unmatched given her commitment to knowledge and success. She rises to every challenge she is faced with and in the end, exceeds her client’s expectations and earns their business again and again. Over the past 25 years Karen Wilson has gained experience and knowledge about the business of Interior Design, and managed the details of many renovation and decorating projects. Over that time, she has also developed relationships with a number of professional trades in the KW area, as well as supplier contacts throughout Southwestern Ontario, across Canada and the US. With work encompassing everything from colour consultation to drawing plans and managing renovation projects to furniture and product sales, this is your one stop shop for all things Interior. After graduating from Fanshawe College in 1992 with a diploma in Interior Design, Karen continued her Design education by receiving her NCIDQ certificate by passing a North American wide exam in 2002. Passing that exam is a requirement of becoming a Registered Interior Designer in Ontario. In 2005, Karen wrote another exam and received her Building Code Identification Number for house and small buildings up to 600 square meters (6458 square feet). This registration permits her to engage in the business of providing design activities to the public subject to the Ontario Building Code and therefore will have her BCIN# on all construction drawings and blueprints being submitted for permit. As a member of ARIDO and IDC, Karen has also served two terms as president of the Grand Valley Chapter of ARIDO and co-facilitates study sessions for the NCIDQ exam for Interns of ARIDO. She has also been Chair of the Interior Design Week committee in Kitchener in 2008 and 2009, as well as being captain of Team ARIDO in CANstruction, Run for the Cure, Easter Seals Drop Zone and Habitat for Humanity, helping to raise over 22,450.00 for the community. Karen also sat with the panel of esteemed judges for the ARIDO Awards of Excellence in 2007. 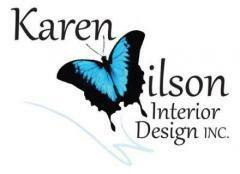 Karen Wilson Interior Design INC.